It's Back! Starting this Sunday!!! Decided to have some fun, and played in four blogger tournaments in the last 2 days. Finished 18th in the Bodonkey and 18th in the Skillz Game on Tuesday, playing good but not getting any cards. I finished 18th (AGAIN!) in the Mookie, making some calls when I knew I was beat, but then getting AA to bring me back from the brink over and over again. I finally get knocked out whem I push my AJ into AK and cant improve. Played the Dookie also, and thankfully didnt finish 18th, since there were only 18 people playing. Actually played Pot Limit Hold'em well, and got cards at the right time to eventually finish 3rd, for a nice little $18 payout. Things can not run much worse for me. I am pressing too hard to try and make things happen, at first I was just getting sucked out on a few times, but it got to the point where I was playing too many hands, and then turned around and played no hands. This weekend probably the worst. After having a lot of fun only rebuying once in the Kat's donkament, I have a over 60% of the chips on the table when we are three handed. So what happens.....I finish 3rd. After that I managed to play and lose $80 in a live tournament in 40 minutes, and $40 in a 1/2 cash game in less then 3 minutes, follwed up by losing everything I played online on Sunday to the tune of almost $70. Had I not won a two tokens on Saturday, it would have been a total loss. I will only be playing the Bodonkey and the Skill Game on Tuesday (as long as it isnt Razz). The mega-tilt I am is begging for me to take a break, or I will have NOTHING left online in my bankroll. 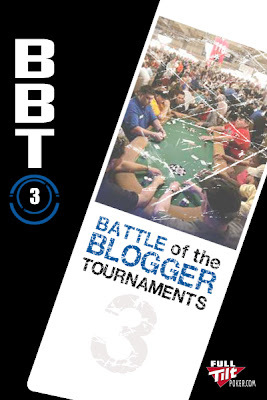 Bodog launches the Bodog Poker Blogger Tournament Series. Every Tuesday @ 9:05ET February 5th thru June 3rd. The top 18 finishers at the end of the series will compete in the Tournament of Champions and donkeypunch each other on Tuesday, June 10th for the Mucho Grande Prize. 1st place TOC finisher wins a 12k *WSOP Main Event Prize Package with Team Bodog! All you have to do is register and compete in the Bodog Poker Blogger Tournament Series Challenge. This series is only open to poker bloggers. One pre-requisite is you must have a regularly updated poker blog that is at least one month old.The Grand Prize for this is a $12,000 World Series of Poker Package. So click on Smokkee's blog to the right, and see how to sign up and join us. There are plenty of other prizes too! Go to Smokkee's blog (link at the right) and find out how!